Albion Architectural Concrete are manufacturers of high quality concrete products based in Sussex with the ability to supply economically nationwide. 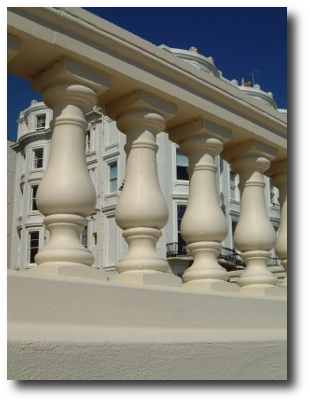 We specialise in architectural cast stone (artstone) and GRC (glass reinforced concrete) and manufacture concrete Reproduction Paving, Balustrading, Pier Caps, Copings, Sills and a wealth of other products. Please take the time to browse our concrete and cast stone products pages to see some of the standard products we can offer. We have also introduced a complete modular portico system which can is designed to suit almost any location. If you don’t see what you want, please contact us. We have our own in-house design service and many years experience in the manufacture of bespoke concrete and cast stone products, working either from your drawings/photographs or by visiting site and taking measurements. 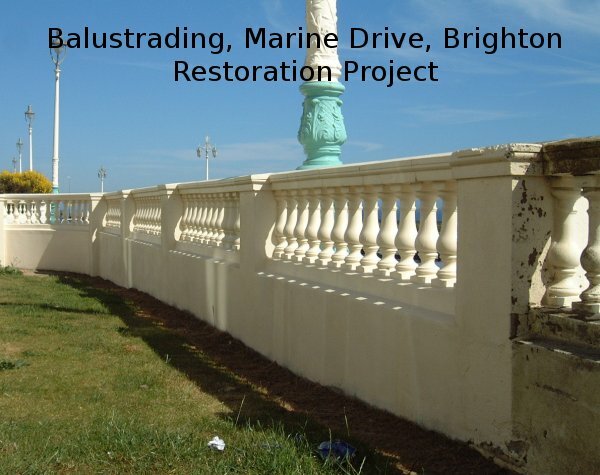 Whether it’s a contemporary project or for restoration, we can supply exactly what you need. A small selection of examples are shown on our projects gallery. Click on any picture on the site to see a larger or alternate view. We are constantly striving to improve our products and services. Please see our mission statement. Please contact us for more information and visit our sister company, The Stone Cellar Company Ltd, for information on Wine Cellars and Wine Storage Solutions.